The Law Firm has profound knowledge in this legal area and has created a specific department in China specializing in the protection and utilization of intellectual properties such as trademarks, patents, models of utility, protection of trade secrets, know-how, copyright of names and domains and other companies’ distinctive signs. In this area, the legal services provided by the Law Firm also include the contractual part as the negotiation and drafting of contracts of transaction, license, franchise and other ancillary agreements always in compliance with the latest regulations. The Law Firm has successfully assisted numerous clients in actions against unfair completion and is able to provide services even in the delicate phase of acquisition of the necessary evidence to support law suits in China. The Firm can also assist its clients in disputes resolution concerning rights infringements such as fraudulent usage of domain names over the internet. 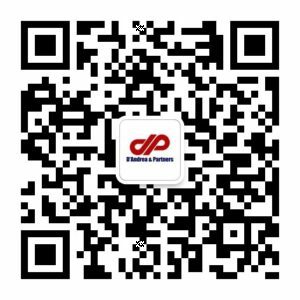 D’Andrea & Partners Law Firmoffers assistance in major exhibitions in China with a duration of more than two days providing direct support to organizers and exhibitors, also administering the constitution and management of the required IPR office.